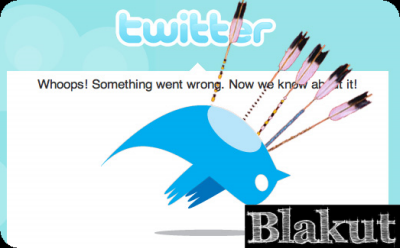 Blakut: Is Twitter losing its popularity? Twitter has been having staggering growth in the last several months. A few weeks ago, online traffic tracker comScore Inc. reported that Twitter had a 131% increase in U.S. visitors just from February to March of this year. And that news came on the heels of another comScore report released earlier this month showing that Twitter traffic jumped 700% in February compared to the same month last year. "Let there be no doubt: Twitter has grown exponentially in the past few months with no small thanks to celebrity exposure. People are signing up in droves, and Twitter's unique audience is up over 100% in March. But despite the hockey-stick growth chart, Twitter faces an uphill battle in making sure these flocks of new users are enticed to return to the nest." Truly speaking each and every word of the above quote is very much significant! Twitter IS facing the actual competition from its rivals now! After all in this huge industry of Social Network no one is going to leave its place free of cost! Isn't it? Also according to Ezra Gottheil, an analyst at Technology Business Research Inc.
"Twitter just doesn't seem to have a whole lot of stickiness to it, People join Twitter ... and then it has to be an on-going commitment. Twitter's charm is that it's immediate and instant. The minute you get busy, it's usefulness fades." Share your experience! Personally I have been using twitter for some time. The worst thing about this is even if you don't do anything you will get atleast 10 follower request per day [Obviously I didn't mean that you will be getting this without making any update] and tons of links and useless materials at your tweetdeck! I do feel very much irritated because of this. So usually I visit some of my friends and check their updates individually. This is what I do! Do let us know about your experience of twitter. Do you really feel that twitter is loosing its popularity or is it just a saturation point faced by twitter? Do let us know through your comments.